Check out this great white paper from the editors at Cadalyst. Get the advice you need for your hardware while keeping costs low. You’re not looking to splurge on all the bells and whistles; you just need a reliable and affordable workstation that will get the job done. But what type of configuration will meet your needs? And which components and capabilities are must-haves? The sample configurations and expert advice in this guide will help you decide. Discounts for Cadalyst readers are available. 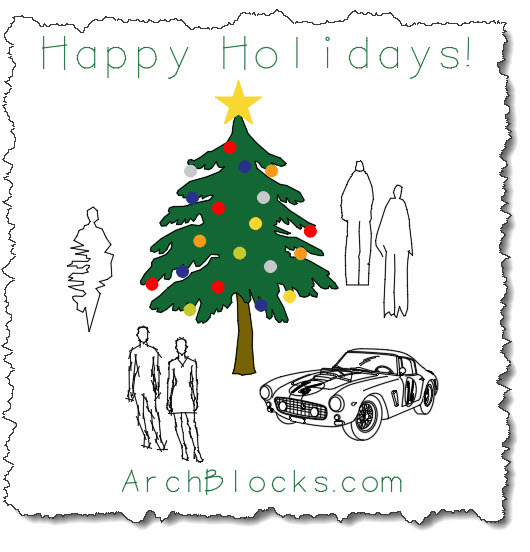 I get questions every once in a while asking if the ArchBlocks.com products are compatible with certain versions of AutoCAD. 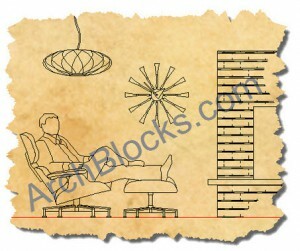 All of the ArchBlocks.com products are saved back to the AutoCAD 2000 version, so they will work in all versions of AutoCAD back to AutoCAD 2000. This includes all the CAD blocks, fonts, hatch patterns, and title blocks. If you have a very old version of AutoCAD, like AutoCAD R14, send me a note and I can send you the products for any older version. Please feel free to send me any questions you might have. This is a picture of my ArchBlocks.com office. 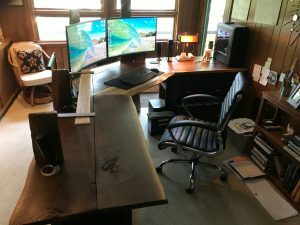 I have been a woodworker most of my life and I just completed a new desktop for my computer station. It made from rough cut walnut scraps that I have accumulated over the past few years. Happy Father’s Day to all the Father’s out there! 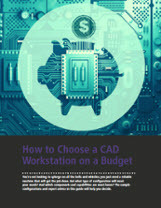 Now available for download from Cadalyst.com is a guide to mobile workstations for design professionals. Just click on the link below to download the white paper. How to implement new Autodesk releases is one of the main articles in the new AUGIWorld May 2018 issue. Designers are finding more time to be creative as computers are doing all the repetitive work for them.